If you have a child that is preschool or elementary age, then chances are they are participating in a Valentine’s Day party at their school. I know my ten year-old enjoys the V-Day parties in her classroom, and they get to share treats and cards to celebrate the occasion. 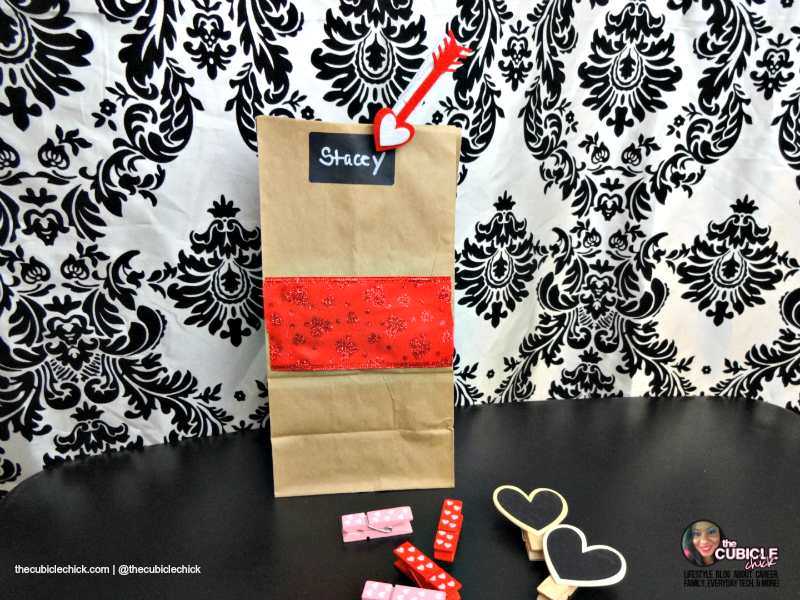 Each year, I try to come up with new ways for her to share the treats that she has brought to school for her classmates, and this year, I thought we take it back to the old school by doing Valentine’s Day treat bags the way I used to make them when I was in school. It’s a pretty basic DIY, but is still festive and fun. By using a paper bag, you can dress it up and make it special. 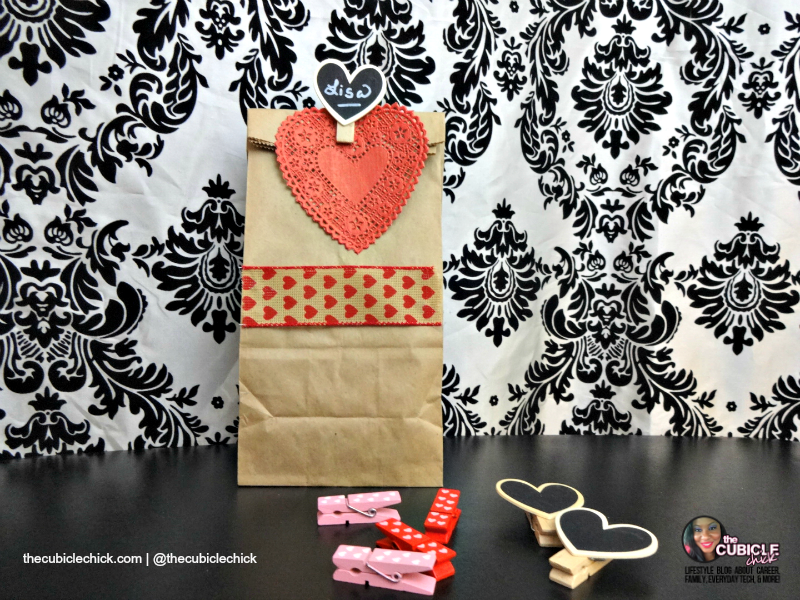 The paper bag gives it a “rustic” type of feel, which the felt hearts and other embellishments make for a fun Valentine’s Day treat bag the kiddos will love. And what’s more, your child’s teacher will appreciate it that the bags are already stuffed and ready to pass out. No mess, no fuss. The bags take about two to three minutes each to create and assemble. For younger kids, you will want to be pretty hands on with this activity. For older kids, you can lay out all of the craft items and let them go to work. Encourage them to be as creative as they want. This idea is also good if you are hosting a Valentine’s Day soiree in your home. 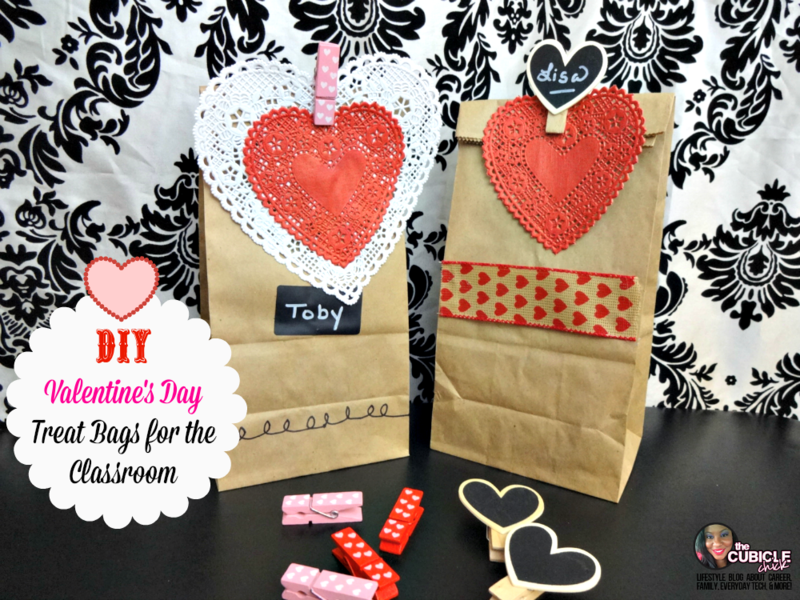 Or, you can surprise your kids on Valentine’s Day with a treat bag stuffed with their favorite goodies. If you need a cute and creative idea for actual valentines, you can check out my Fun Chalkboard Valentines for Kids DIY. 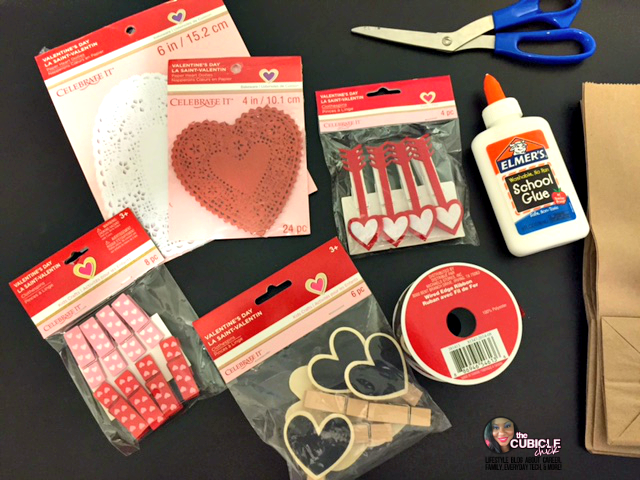 Looking for more Valentine’s Day tips and crafts? Make sure to check out my Valentine’s Day round-up of posts here.